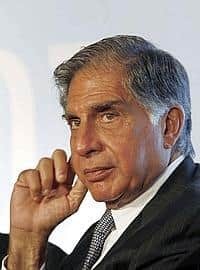 The Tata group is looking at the possibility of entering the shipbuilding business even as India looks to boost its shipbuilding capabilities to meet growing global demand for cargo carrying ships. The Tata group has shown interest in building a shipyard near Shivrajpur in Gujarat after the state government invited expressions of interest from private firms, according to a senior Gujarat government official who did not wish to be identified. Tata Steel Ltd makes steel, a key input for constructing ships. In December 2006, the company signed an agreement to set up a 50:50 joint venture with Japanese transportation firm Nippon Yusen Kabushiki Kaisha (NYK) Line for setting up a shipping company. “An entry into shipbuilding will give lot of synergies for the Tata group as it is already pre-sent in steel as well as transportation," said Divay Goel, director and head of Asia Operations of Drewry Maritime Services (Asia) Pte Ltd, a leading shipping consulting firm. Shipbuilding requires steel plates having a width of 2.5 metres and above; the use of these reduces the number of plates that have to be pieced together to build a ship’s hull. Though local steel makers such as the state-owned Steel Authority of India Ltd (SAIL) and Essar Steel make shipbuilding grade steel, the plates they make are less than two metres wide. As a result, a company building a very large crude carrier that has a height of 30 metres from the keel to deck needs to weld more steel plates together. “This is a major disadvantage," said an executive with Shapoorji Pallonji & Co. Ltd, which has expressed interest in building a mega shipyard proposed by the Union government on India’s east coast. Because of this reason, Indian yards source most of their steel from steel makers in Ukraine, China and even Korea. In comparison, shipbuilding grade steel made in Korea has a width of four metres. Responding to the opportunity for building steel plates with larger width, steel makers such as Essar Steel and Tata Steel are planning to put up plate rolling mills that can make steel plates having a width of more than 2.5 metres. Typically, for making 10-15 ships in a year, a yard would require close to 70,000 tonnes of steel, and steel makers such as Tata Steel, Essar Steel and Jindal Steel are now eyeing the shipbuilding business because the steel they make can also be utilised for constructing ships at their own yards. An industry expert who did not wish to be identified said that developing a shipbuilding and repair yard would have “great advantages" for the Tata group given its association with NYK Line that has a fleet of more than 700 ships. “If the Tata group decides to enter shipbuilding, NYK, and even the joint venture between Tatas’ and NYK, can build ships at this yard. NYK can also repair some of their ships at the Tatas’ yard, which would be a huge business potential in itself," the expert added. “The Gujarat government plans to develop 10 clusters consisting of 100 yards with private investments worth Rs50,000 crore," H.K. Dash, chief executive officer of Gujarat Maritime Board, the maritime regulator that oversees the development of ports owned by state government, said on the sidelines of the International Maritime Exhibition in Mumbai. Increasing global economic activity and India’s booming economy have boosted demand for ships to transport cargo. With capacities in traditional shipbuilding nations such as Japan, South Korea and Norway booked for the next few years, global fleet owners have started looking at new destinations such as China, India and Vietnam to build their ships. India currently has a market share of just 0.5% of the global shipbuilding market. Indian yards such as ABG Shipyard Ltd, Bharati Shipyard Ltd, Larsen & Toubro, Cochin Shipyard Ltd, Hindustan Shipyard Ltd, Mazagon Dock Ltd and Tebma Shipyards Ltd are looking to grab a bigger share of the global market and capture the space vacated by the closure of yards in Europe and other developed countries. Steel maker JSW is also planning to set up a shipbuilding facility either in Gujarat or in Maharashtra. “Currently, there is a shortage of ships to transport steel and this has jacked up freight rates. Therefore, it is logical for us to enter into shipbuilding, at least for meeting our own requirements. We are planning to make small and medium-sized bulk carriers," said Capt. B.V.J.K. Sharma, joint managing director and CEO of South West Port Ltd, a firm promoted by the JSW Group.